"Herbs are so effective for the minor miseries of life (and some of the major ones too) that in many cases, I haven't stocked the pharmaceutical alternative in my medicine cupboard for years. Nothing zaps a sore throat faster than Propolis, sorts out a painful gum infection more efficiently than a shot of Marigold or takes the sting out of sunburn better than Aloe Vera. For as long as people have been able to pick berries and forage for sticks, herbs have been used for medicinal purposes. There is even evidence to suggest that Neanderthal Man knew about and used herbs. Country people the world over have always relied on them, especially when no other doctoring was available. And you don't need to be a trained herbalist to be able to use them. It's simple. 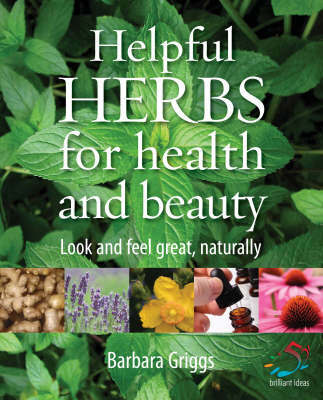 You just need information, inspiration and a little savvy and that's where "Hands-on Herbs" comes in!" - Barbara Griggs.